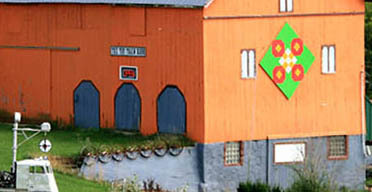 "Visit A World In Miniature"
Look For The Bright Orange Barn! You can't miss it! 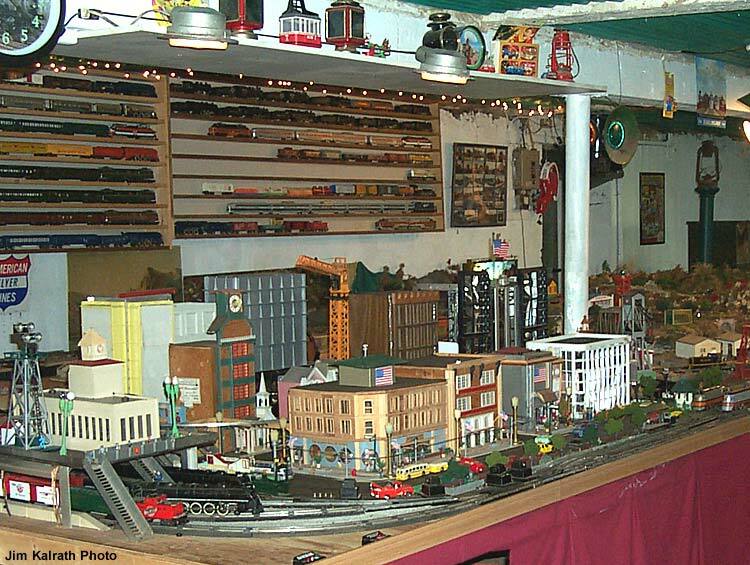 Welcome to the "Toy Train Barn" web site! Please call ahead as hours are subject to change. See our Facebook page for current updates. 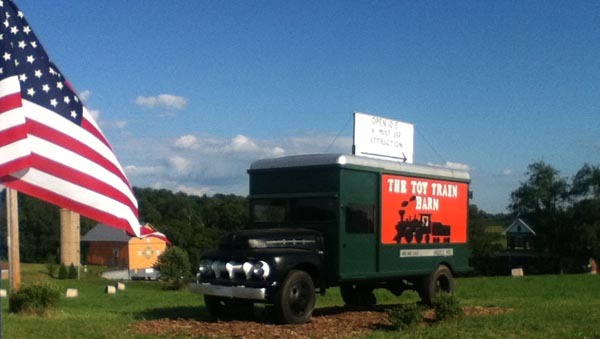 Please bookmark our new web address: www.toytrainbarn.com! Electric Trains Of All Sizes! 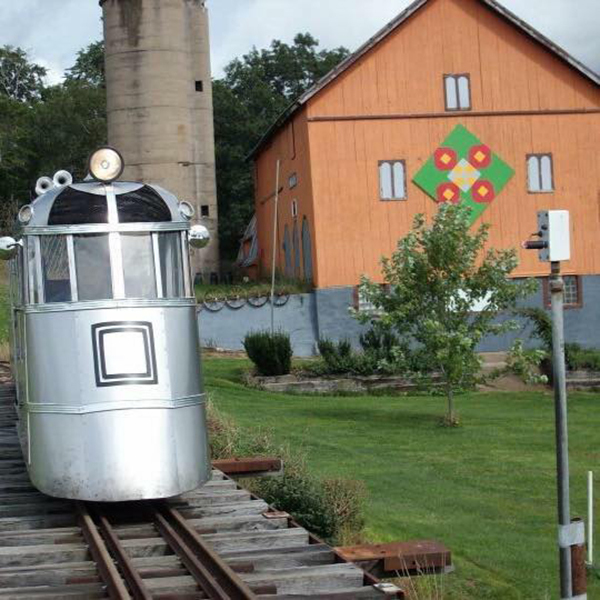 A barn in Southern Wisconsin that was home to a herd of dairy cows has been transformed into a toy train museum. The barn is owned by Wisconsin & Southern / Wisconsin & Calumet Engineer Buck Guthrie. He is a lifelong collector of American Flyer Trains as well as other toy trains. During the past years the barn has been remodelled to house Buck's large collection and layouts. 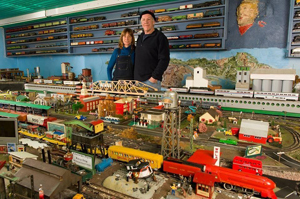 The Toy Train Barn opened for public display this past December. 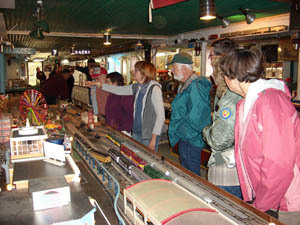 Operating display layouts range from tiny Z scale to G scale along with tin plate and depression era toy trains. 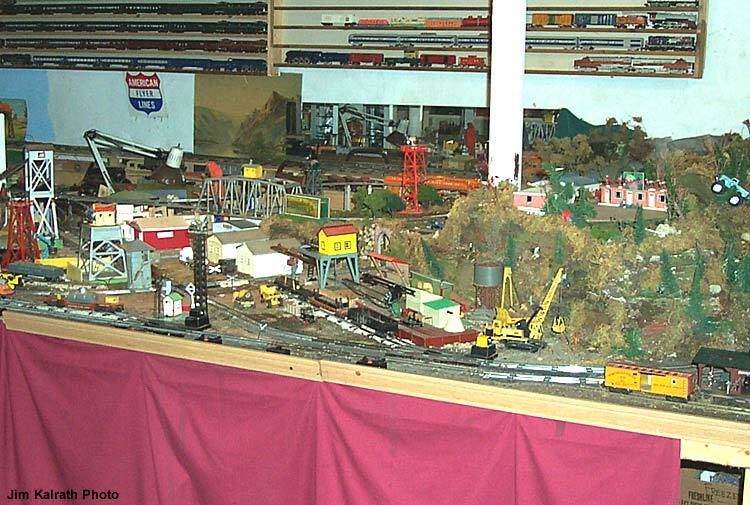 The largest layout is the American Flyer S gauge collection. The layout features numerous animated action scenes many created from Buck's ingenuity with electronics and creative imagination. There is also a large collection of photos and railroad memorabilia from Buck's career as a Engineer and Conductor. Outside a 12" gauge railroad that visitors are able to ride known as the Argyle & Eastern Railroad. There are always changes so be sure to stop by and see whats new. The A&ERR is built on 18 scenic hilly acres (near the highest point in Green County) that include a natural springs and creek. 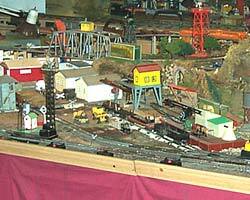 The Argyle & Eastern Railroad features a turntable, water tower, depots. There are many curves and trestles, semaphore signals, wig-wags etc. 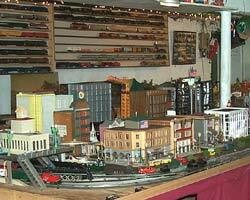 The Toy Train Barn is open daily from 10:00 AM - 4:00 PM. 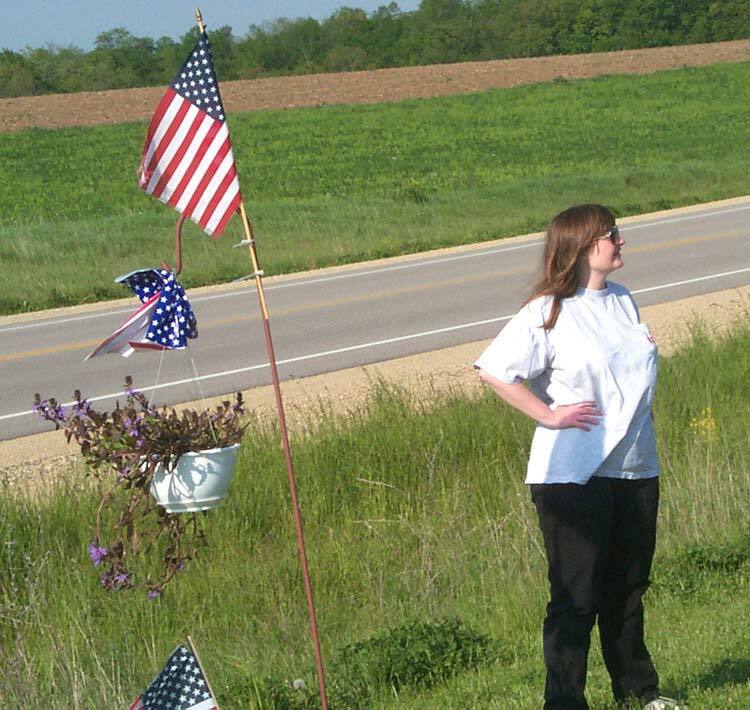 Located 7.5 miles west of Monroe WI on Hwy 81. 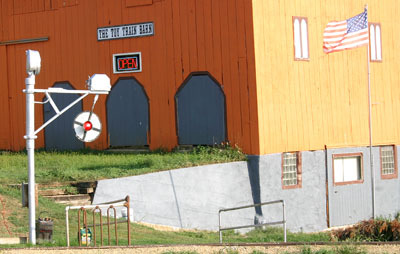 Look for the large Milwaukee Road Orange and Gray Barn. ...... You can't miss it! The Toy Train Barn is open year round so come on out and pay a visit! The 12'' Argyle & Eastern Railroad is in operation! Note: Please call ahead to inquire about availability of train rides.